It’s very easy to get lost in our own heads. Some of us do it out of habit, others boredom; some out of safety, others by necessity. We can be born that way—genetic wiring bent towards internalization—or have it shaped into us by early, formative experiences. Either way, by the time we emerge into adulthood, many of us have learned how to shut things down. To intellectualize rather than feel. To wall off instead of allow in. The problem is, sooner or later, the fortress becomes a prison. Defenses, by way of simple definition, defend against—but overused, they run the risk of locking us in, becoming a way of taking in the world that creates a story we’re telling ourselves, rather than the actual truth of the matter. And then we get attached to that story, because we’re so sure we need it, so sure that the world is a much too dangerous place to be open or vulnerable within. Dr. Vivian Bearing’s favorite defenses—intellectualization and a dry, sarcastic humor—have served her well in her 48 years. She’s relied on them to keep herself mostly out of the muck of real, actual human life. She fell in love with learning and language at an early age (we see her in a flashback from early childhood, mesmerized by her father’s explanation of “soporific” one sunlit afternoon) and soon took up residence among them, becoming a doctor of philosophy and a renowned expert on John Donne’s Holy Sonnets, as well as a famously demanding and uncompromising professor of 17th century poetry. Her parents are deceased. She’s never married, and has no children. Instead, she’s devoted her life to academia, preferring the library to most social interactions, knowledge to frivolity. She’s been fiercely independent and driven for as long as she can remember, a rigorous and exacting student of complex metaphysical poetry. Emotion, vulnerability, humility—these things simply aren’t a part of Dr. Bearing’s make-up; if grappled with at all, they must be done so with ironic detachment, intellectual ferocity, and mordant wit. She observes, analyzes, and remarks drolly on life, rather than ever much participating in it. Even Donne’s poetry, which she feels “explores mortality in greater depth than any body of work in the English language,” is something to be wrestled with cerebrally, an intellectual puzzle to be worked out and solved. And then her body—that earthly, messy, corporeal thing she so long took for granted—breaks down, and everything changes. We spend most of our lives focused on just about anything but its inevitable outcome, the one sure thing promised to us by virtue of being born. Death haunts us from day one, but mostly in the background: something to be thought of occasionally, then cast aside. One school of thought posits that the very concept of defense mechanisms—those myriad internal machinations which work overtime to keep our psyches from feeling continually overwhelmed—initially developed as a way to help us move through life on earth as the only species cursed with an awareness of our own mortality. Which makes a good deal of sense, I guess. When you step back and try to get any kind of objective lens on it, the fact that each and every one of us—as well as everyone we’ve ever met, known, or loved—will one day die, is incredibly horrifying. 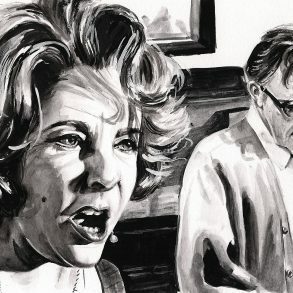 Mike Nichols’ Wit, however, puts death center stage and never pretends otherwise. We’re told in its earliest moments, by the main character herself, that she will spend the film dying: “I have stage-four metastatic ovarian cancer. There is no stage five.” From that point on, we have no real illusions that Dr. Vivian Bearing (Emma Thompson) will survive. Wit—co-written by Nichols and Thompson, and based on Margaret Edson’s Pulitzer Prize-winning play—is not the story of her miraculous recovery but instead a chronicle of this once well-defended, fiercely proud scholar’s long, humiliating, and messy capitulation to the cancer that will one day claim her. It’s rare to see a film look this closely—this frankly—at death and dying. To show us steady decline, and a steadfast grappling with it. To illuminate all the ways a medicalized modern death robs us, day after day, of our defenses and our dignity. 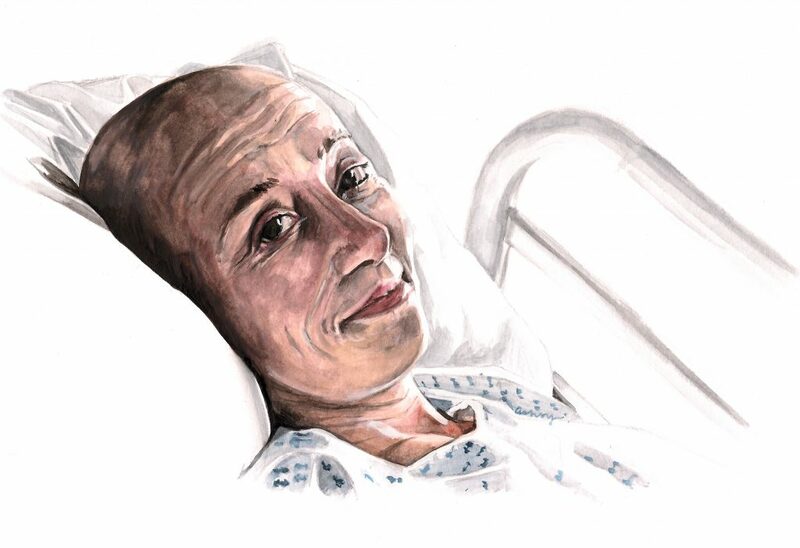 Watching Vivian Bearing—bald and vomiting and depleted from aggressive chemotherapy, helpless and humiliated and proud and trying to make sense of it all—is to run right up against an ancient, awful fear: our body’s resignation to a fate our mind has always refused to accept, our feeble defenses no match for death’s relentless march. At the beginning of the film, Dr. Kelekian (Christopher Lloyd) tells Vivian that she will need to be tough and resolute, that she was selected for an experimental course of treatment that requires nothing less. She knows, from the start, that this aggressive treatment won’t save or cure her, though it will likely offer invaluable contributions to medical research. Vivian, long-known for her punctilious fortitude—and with no family or friends in her life to try and talk her out of it—agrees. With erudition and wit wrapped around her like armor, she steels herself against the inevitable horrors of treatment. As luck would have it, her primary doctor is a former student of hers, a still-young man who who once took her metaphysical poetry course as a challenge, and now credits it with helping sharpen his own rational, intellectual prowess. Dr. Posner (Jonathan Woodward) is the medical equivalent of Bearing’s academic, a man obsessed with cancer in all the ways Bearing once was with Donne, approaching it rationally and studiously, while neglecting its human element and emotional undercurrents. He treats Vivian’s cancer like a fascinating puzzle, her life as his research, her body as a text. It’s a taste of her own medicine at the very worst possible time. By contrast, she is also under the care of a compassionate nurse (Susie Monahan), a maternal, warm, and decidedly unintellectual woman, as well as a fierce advocate for her patients’ humanity. It doesn’t take long for Vivian to learn to prefer her company to that of either Dr. Posner or Dr. Kelekian. Vivian’s humanity had been so long denied—by both herself and others—for so many years, that she’d forgotten how good it can feel to simply be taken care of, to allow a bit of kindness and compassion into her life. Psychoanalyst D.W. Winnicott once theorized that intellectualization develops as a substitute for mothering, that an over-preoccupation with logic and knowledge is borne out of a kind of emotional impoverishment, and becomes a way for one to “mother the self.” Words, logic, and rational observation take the place of attachment, warmth, and love. But this trade-off comes at a sizable cost: one is forced to become an island. And as Donne himself once famously noted, “No man is an island entire of itself; every man is a piece of the continent, a part of the main.” To forget that, as Vivian did for large swaths of her life, is to miss out on a good deal of what makes life worth living. 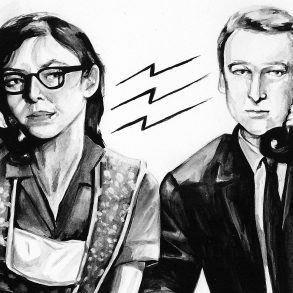 Vivian uses every ounce of her sizable force, humor, and ferocity to withstand the daily onslaughts to her humanity: Dr. Posner, awkwardly administering a pelvic exam (“I wish I’d given him an A”); a team of medical students observing her for their studies (“I feel right at home, it is just like a graduate seminar”); vomiting endlessly into a basin she has to offer up for measurement (“If I actually did barf my brains out, it would be a great loss to my discipline. Of course, not a few of my colleagues would be relieved”). At first, she finds refuge in these frequent dry asides—delivered directly to the camera in a continual breaking of the fourth wall—attempting to maintain a modicum of detached observation over the awful absurdity of her situation. But in time, as her situation worsens, Vivian learns to value simpler things, small acts of human kindness and connection. Suffering begins to soften her, to open up her heart. Though wit continues to provide her a sense of strength and solace, so too does an an orange popsicle shared late at night with her nurse, as they talk over the details of what will happen when her heart finally stops beating. I can’t believe my life has become so corny. But it can’t be helped, I don’t see any other way. We are discussing life and death, and not in the abstract, either. We are discussing my life and my death. And I can’t conceive of any other tone. Now is not the time for verbal swordplay. Nothing would be worse than a detailed scholarly analysis and erudition, interpretation, complication. No, now is the time for simplicity. Now is the time for, dare I say it, kindness. As someone who places a great deal of value on my own intellect and an ability to find humor in most any situation, Wit basically wrecks me. While the coldly rigorous and demanding parts of Vivian Bearing are almost entirely foreign to me, her defenses, sadly, are not. I’m in my head constantly, and most at home all by myself. 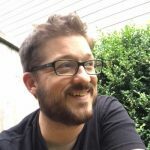 I can get lost in words and ideas for hours, and far too often use humor as a defense to both diffuse tension and deflect attention, quite often to the detriment of truly connecting with those in my personal life. And it’s often tempting to think that this is enough, this careful distancing, that the world can be rationalized or analyzed or quipped away, forever kept at an arm’s length. That there’s a kind of safety in not letting others all the way in. But Wit strips all that away, exposing the flaws in such an approach. It deftly illuminates how these types of defenses and maneuvers only go so far in matters of actual life and death—they might be valuable tools to have in the bag, but they damn well better not be the only tools one brings to the party. Life requires far more vulnerability than that. It requires openness, authentic engagement, boundless compassion. A willingness to show up for each other. When death is finally at hand, Vivian receives her first and only hospital visitor. E.M. Ashford, her former college mentor and professor, comes into the room with a bag full of books, on her way to a birthday party for her great-grandson. Vivian, now reduced to nearly nothing, sedated by the morphine drip that will lead her into her final hours, writhes in recognition. Seeing the immense pain her former student is in, the professor sits down by the bed and attempts to console her. “No,” Vivian sputters out, between tears. 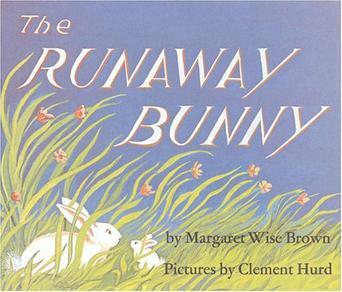 And so the wise old professor climbs into bed with her, cradling her fragile head in her lap, and reads The Runaway Bunny to her instead. It’s no longer Donne and his tortured sense of salvation anxiety that Vivian wants or needs—that old intellectual balm has so little to offer to her now. Instead it’s the primal comfort of an old children’s book—a book which promises that, in the end, all of us will be found. It’s a moment of intimate simplicity and grace, a warm and caring mother reading her sickly child to sleep. The entire world outside her hospital room falls away in that moment. Vivian, at last, doesn’t need to be her own parent any longer. Steadfastness is no longer required; the carapace can finally be dropped. Recalcitrance, finally, has given way to a kind of acceptance. And we, watching this surrender, feel an aching swell begin to rise in us, an almost religious sense of redemption and release. How very complicated we often make the simplest things, how hard we work to fill the void. How lost we are and how badly we want to be found. How lonely we walk through this one life we’re given, unnecessarily, and how wonderful it feels to finally come home.